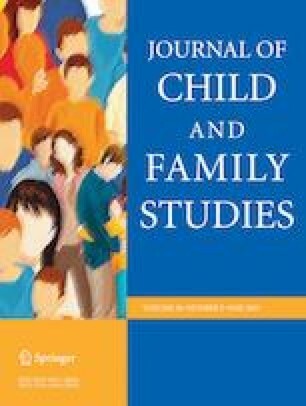 The current study aimed to evaluate the psychometric properties of the “Parental Knowledge Questionnaire-PKQ”, a new measure for the assessment of different constructs regarding parental knowledge and its sources of information (i.e., adolescent disclosure, parental solicitation, and parental control) in the Spanish context. To test the usefulness of these theoretical constructs would contribute to improving a cultural-based approach in research, as well as to expanding the conceptual replication of Kerr and Stattin’s model across cultural contexts. The final sample was composed of 1280 adolescents from 13 state secondary schools in Galicia (NW Spain), aged 12–18 (M = 13.32; SD = 1.24), 52.3% males. The results indicated good internal consistency and construct validity for the developed scales across gender and supported a three-factor model for the sources of knowledge scale, which revealed one specific dimension of disclosure, one specific for solicitation and another specific for control. Results evidenced good convergent validity of the PKQ through bivariate associations with external criteria. Regarding longitudinal convergent validity, low adolescent disclosure was the only predictor of parental knowledge and of different types of problematic behaviour one year later. In addition, significant interactions were found between sources of knowledge, as well as between adolescent disclosure and gender. The PKQ shows good psychometric properties and the current results replicate in the Spanish context the findings of Kerr and Stattin reinterpreting parental monitoring. Implications of these results regarding intervention programs aimed at preventing antisocial behaviour and substance use in adolescence are discussed. O.C. designed and executed the study, assisted with the data analyses, and wrote the paper. L.M. analysed the data and collaborated with the writing of the study. J.S. collaborated with the design and writing of the study. J.A.G-F.: collaborated in the writing and editing of the final manuscript.